From what I've been reading, there have been very few problems with Apple's free new Mavericks operating system. With an adoption rate of 8% in just the first 24 hours, this is going to be a very popular OS update! We haven't heard of very many issues, which is great. Please let us know if you run into any issues with your video software so we can look into it. We will only list what ISN'T working here, not things that work fine. The list just gets too big! 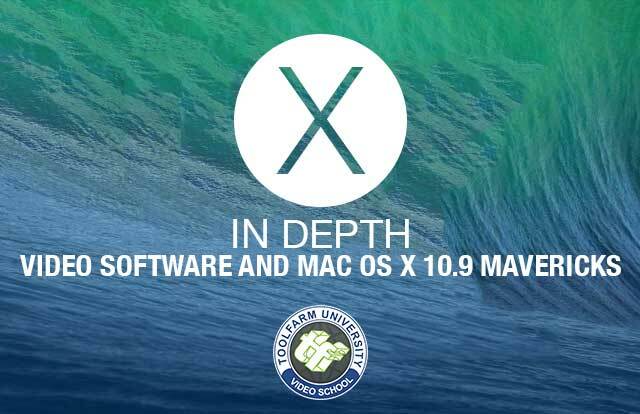 You can download Mac OS X 10.9 Mavericks here. Here's some advice on Mavericks too. See OS Compatibility and FAQs for Mac OS Mavericks (v10.9) at Adobe.com. If you find something, please use the Feature Request/Bug Report Form at Adobe. Problem: After upgrading to Mac OS X 10.9, After Effects CS6 or After Effects CC will not launch. The 11.0.3 update to After Effects CS6 (11.0.3) is compatible with Mavericks. To update for After Effects CS6 (11.0.3), choose Help > Updates. Learn more about the update, including details about bug fixes, here. Update After Effects CC to v12.0.1, an incremental patch that supports for Mac OS X 10.9. If you're not running Mac OS X 10.9, there is no need to update to this version. This update is only available through this download page. You will not see it in the Create Cloud Desktop Application. When you upgrade a Mac OS (as opposed to installing the new version fresh), Mac OS will _often_ set permissions of folder and files incorrectly. You'll see this problem in programs like After Effects in the form of error messages saying that a file can't be written, overwritten, or renamed. To fix this in the case of After Effects, go to the preferences folder and set the _entire_ preferences folder and all of its contents to be writable, not read-only. 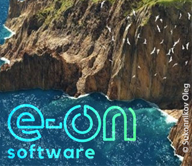 Updated Adobe Captivate 7.0.1 has been released and is now now compatible with Mavericks. Brian Maffitt says that the Creative Cloud App does not let him log into the CC server to authenticate. I can log in via a browser, but I not from the CC App itself – not even the new one that he just downloaded and installed. He cannot see the available CC updates. He recommends “updating your Creative Cloud apps to the new versions FIRST, then try the upgrade to Mavericks.” Todd Kopriva says that none of the other applications require updates, only AE, and the updater is a separate install from the Creative Cloud App. Read more at fstoppers. To run CS5 software, there's an easy fix. From the Premiere Pro Twitter: Though #PremierePro CC supports OS X 10.9 (#Mavericks) please be cautious updating as some third-parties are not yet compatible. A few users are experiencing problems and Adobe is looking into it. There is no official bug report yet. Follow the forum at Premiere Pro work area here. Larry Jordan is reporting that FCP7 may not be compatible with Mac OS X 10.9 Mavericks. Read more here. It is not recommended to use Media Composer, Pro Tools or Sibelius with Mac OS X 10.9 (Mavericks) as they are not supported at this time. Read more in the Avid Knowledge Base. 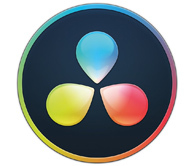 Blackmagic Design has some free software updates that include OS X Mavericks compatibility and interface enhancements for the new operating system and are immediately available for DeckLink, UltraStudio and Intensity Desktop Video products. Download updates at the Blackmagic site. 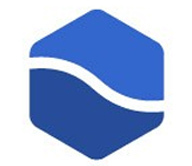 Flip Player 3.2.1 available – Mavericks users should update Flip Player for video and Windows media. They tell you how to disable notifications, automatic updates, how to download Adobe Flash and Runtime, and more. Read more here.